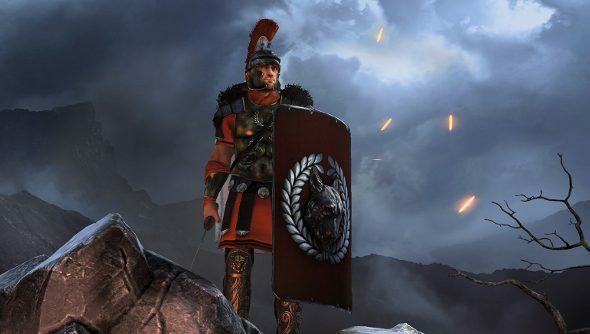 You’ve probably forgotten all about Total War: Arena, Creative Assembly’s weird not-quite-MOBA and RTS. It was announced well over a year ago, briefly went into beta, and then went all quiet. But it’s gearing up to cross the Rubicon again, and is now in closed alpha, which is a little backward. A team-based strategy romp, Arena pits two teams of ten against each other, with players controlling three units led by a historic commander. 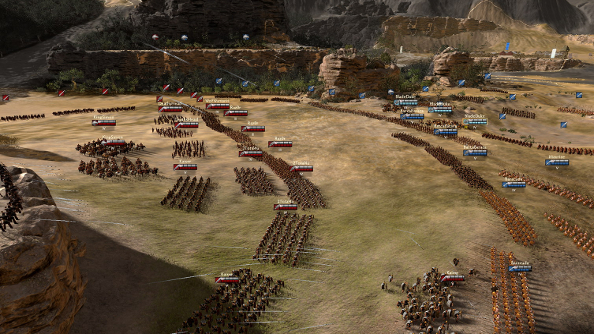 Players take on different roles as part of a greater army, commanding ranged units or some heavy infantry. It’s F2P, so expect pesky microtransactions. Back when it was first announced, Creative Assembly said that premium items would be XP accelerators and and other boosts rather than game changing units. Commanders and units can be leveled up, unlocking special skills and abilities, as well as improved armour and weapons, so those boosts might come in handy for those with cash to burn. So what’s Creative Assembly been doing since they stopped talking about Arena? “We have spent time since the announcement evolving both the gameplay and the supporting technology, to ensure we deliver smooth online service for multiplayer gamers”, said Gabor Beressy, Arena’s project lead. You can sign up for the closed alpha here.